Why is this Tool useful to me? 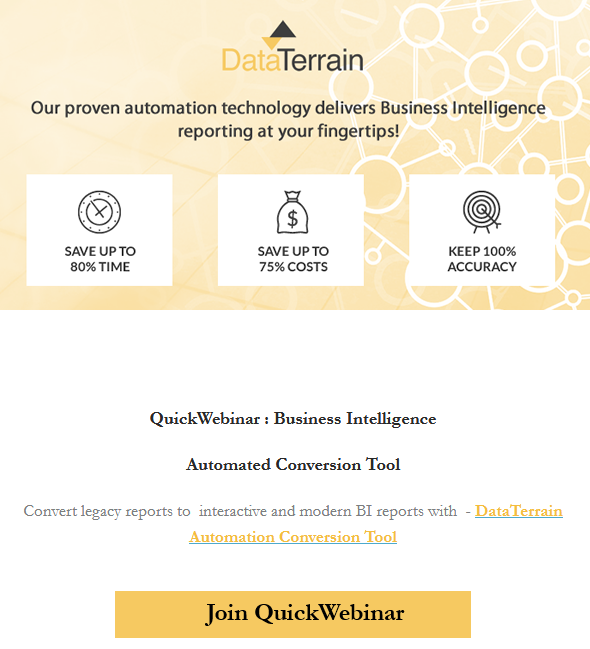 DataTerrain’s automation tool, which forms the core of the conversion solution, lets you extract the complete features and convert to target reports at lightning speed using internal, built-in proprietary intelligence. How is this Tool useful to me? 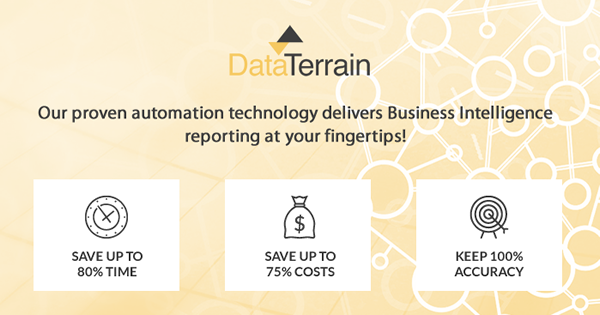 DataTerrain will take care of the data reporting so that you can focus on delivering quality and gaining customer satisfaction. Preserves years of efforts spent on reports designs. DataTerrain has demonstrated these results time and again to hundreds of customers world wide.